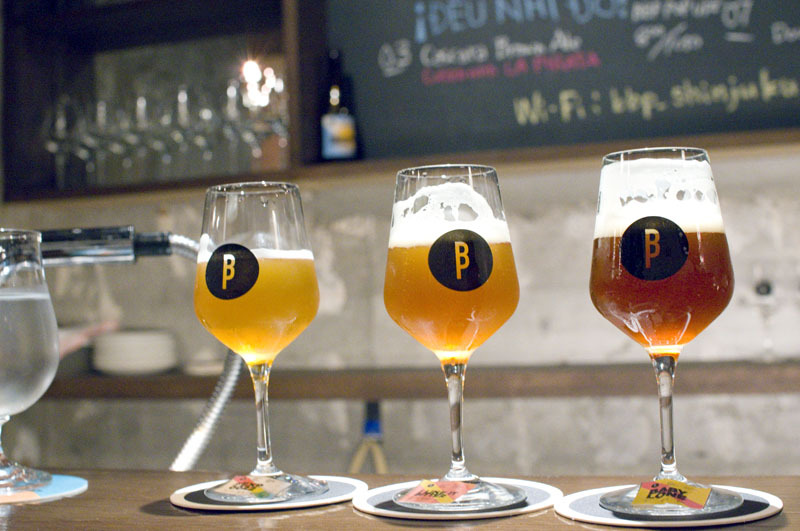 Not to be confused with your typical Belgian beer bar, BBP is actually a craft-beer taproom - one of the best in Tokyo in our opinion. 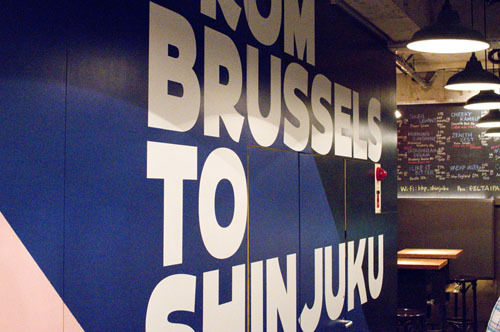 They serve a lineup of more than a dozen beers on tap from a small craft brewery in Belgium, including collaborations with similarly small European and Japanese brewers. Four taps are devoted to guest beers, and there's a well-constructed modern-European food menu to accompany your drinks. The kitchen turns out exotic fare like Grilled Marmalade Spareribs in Cacao Sauce and Cheesy Spicy Lamb Lasagna. The Juicy Boudin Blanc is indeed more vivacious than your average white sausage, served with mixed berries and yuzu-infused mashed potatoes that nicely complement some of BBP's fruitier beers. 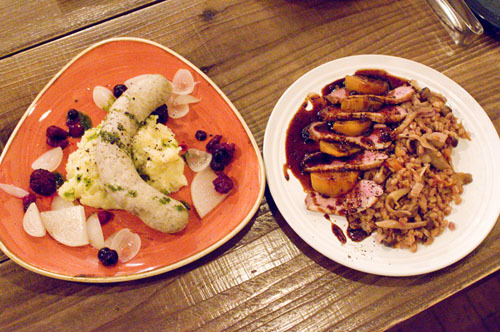 The excellent Roast Wild Duck is also very northern European in style, served with roasted apples, cherry sauce, forest mushrooms and millet. 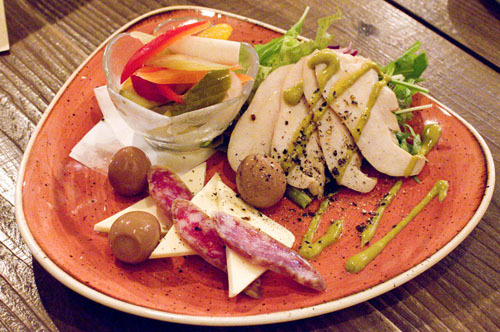 The smoked appetizer platter makes an excellent starter, whatever you're drinking - it's an assemblage of smoked cheese, smoked salami, smoked quail eggs, smoked chicken and tart pickles for balance. The four-item deli plate of the day is creatively conceived and executed, and usually includes an interesting potato salad. Frites are pretty good and come in a decent portion size, although we thought they didn't quite match the high level of the rest of the food here. Given the wide range of beer choices, we were happy to see a three-glass tasting flight option. Individual taster glasses are on the small size though - this really is just a sampler to see what you want to order a full glass of. During a recent visit BBP's beer styles ranged from Blueberry Session Wit and Yuzu Saison to some interesting experimental IPAs with names like #EXP0033. 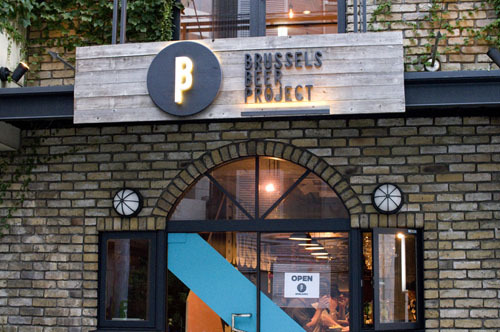 The lineup included collaborative beers with breweries like Kaapse (Rotterdam) and La Pirata (Barcelona), and guest beers from Barbaric Works (Chigasaki), Weird Beard (London) and Kyoto Brewing. 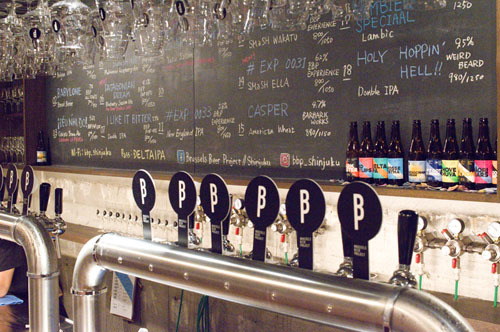 You can also find several of BBP's own beers in bottles, in addition to the 14 on tap. Most beers are priced at Y950-1050 for a regular-size glass and only slightly less for a small size. 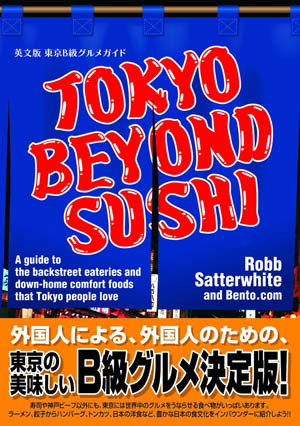 As is often the case at Tokyo bars, the larger glass is a much better deal financially. The bar is spread out over two levels, with restaurant-style table seating upstairs and more of a bar setup, with high stools, on the ground floor. 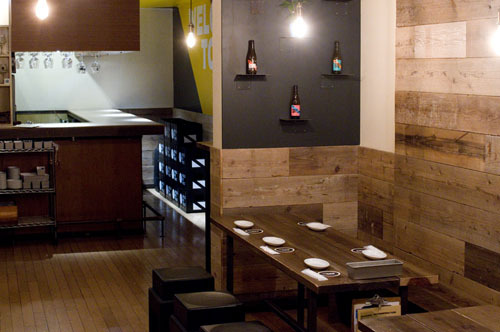 The shop is managed by the long-running Tokyo-based Brussels chain, and occupies the space of the former Hoegaarden Cafe. Budget around Y4000-6000 per person for dinner-size portions of food and drink.